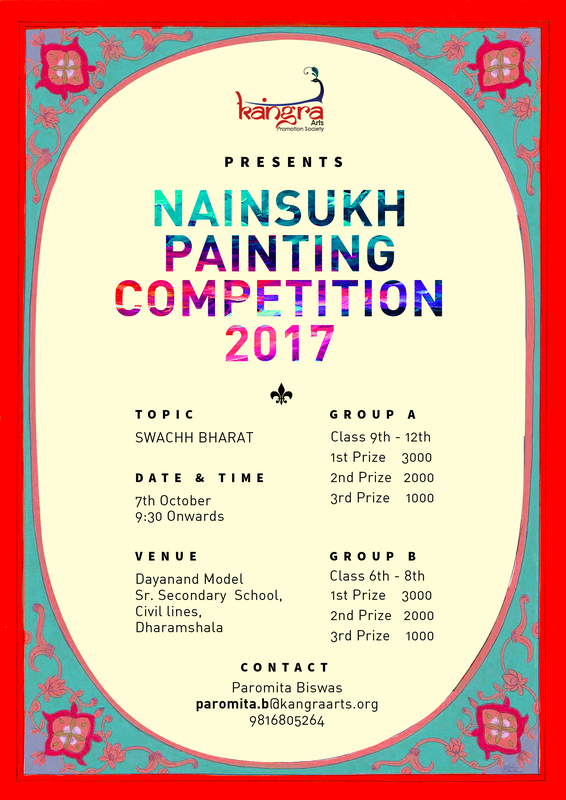 Enroll now for the upcoming Nainsukh painting competition dated Oct 07,2017. Around 100 students from Classes 9-12(Group A) and Classes 6-8 (Group B) from in and around Dharamshala town will be participating in this competition . There is no registration fees for this event.The students will be awarded with prize money of Rs 3000/-, Rs 2000/- and Rs 1000/- for first , second and third position for each group. Apart from that top ten talented students will be given an opportunity to learn the art of Kangra miniatures at Chitera art school in the district museum in Dharamshala for a period of 3 months free of cost under the tutelage of master artists .